Goods and Services - Students will recognize and identify the people and their roles in the school and neighborhood. 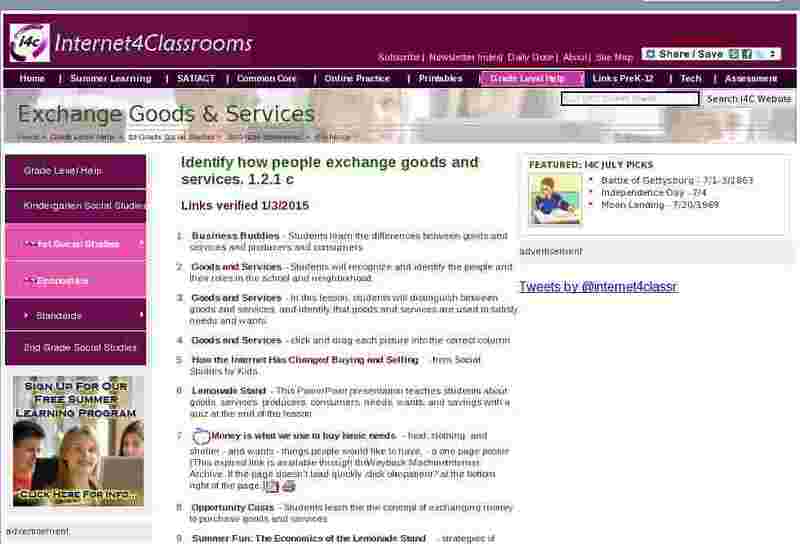 Goods and Services - In this lesson, students will distinguish between goods and services, and identify that goods and services are used to satisfy needs and wants. Lemonade Stand - This PowerPoint presentation teaches students about goods, services, producers, consumers, needs, wants, and savings with a quiz at the end of the lesson. Opportunity Costs - Students learn the the concept of exchanging money to purchase goods and services.